What happened on two coasts in the US the past two weeks speaks to our energy reality. The two coasts tell us where we are. Both events illustrate the conundrum in which we find ourselves early in the 21st Century and very early in the transition from one primary fuel source to the next. First the good news: Consent was given by US Secretary of the Interior Ken Salazar on Wednesday for Cape Wind, the long-stalled 468 MW wind farm project off the coast of Massachusetts. The project was held up by local interests concerned about the appearance of a line of 130 wind turbines located miles off the coast in the Horseshoe Shoal area of Nantucket Sound. The second was the explosion, sinking, and subsequent leaking of a deep water oil facility last week, which by some estimates is now spewing 5,000 barrels (200,000 gallons) a day into the Gulf of Mexico from below the ocean floor. This spill is set to threaten the Gulf Coast, just five years after Hurricane Katrina devastated that region. One of these events represents the future of our energy production: Cleaner, renewable, and with a free resource feed stock (the wind). The other represents a variation on the past: Dirty, dangerous, and dependent upon a dwindling feed stock (fossil fuels). What people forget, however, whether celebrating the victory or decrying the disaster, is that we are not in a position to switch from the old to the new like a light switch in the kitchen. We are very likely going to need the old to help foster the development of the new -- and our dependence upon the old isn't going away any time soon. Furthermore, because oil is running out, we are likely to see more risky and dangerous ventures to access what's left in the immediate future. Extracting fossil fuels is a risky and dangerous business, as we've seen with this drilling disaster and last month's coal mine disaster in West Virginia. The sooner we can foster the transition off fossil fuels and to cleaner, renewable source the better off we will be. But let's not forget where we are in that transition: we are just at the very beginning. Here at The Green Skeptic we've been following the progress of cleantech in Israel for some time. There are many reasons Israel has been an innovator, including, in part, because it has to be. Now, Sustainable World Capital's Shawn Lesser highlights the history of innovation, access to capital, scarce resources and other factors propelling cleantech today in Israel. 1. Israel is the Silicon Valley of water. Relative to its small size, Israel has devoted more resources to the development of waste water treatment and reclamation than any other country in the world. Seventy percent of its waste water is recycled, three times the figure of number two: Spain. Israel is the birthplace and world leader in drip irrigation, which has literally turned deserts into farmlands. The Israeli firm Netafim, a $500 million high-tech drip-irrigation giant, is a world leader in smart irrigation technology and has been credited with starting the drip irrigation revolution. Israel Newtech, which promotes Israeli clean energy and water technologies, has identified hundreds of water companies. It’s estimated that Israel’s water industry was valued at $1.4 billion in 2008 and could reach $2.5 billion by 2011. 2. Brain trust. Israel has the highest ratio of university degrees to population in the world. Within its small borders is an enormous concentration of PhDs and engineers, bolstered in large part by the large immigration from the former Soviet Union. This concentration of minds in a relatively small geographical space creates a country-wide incubator where ideas are constantly tested in the coffee shops of Tel-Aviv and the hallways of universities. 3. Necessity as the mother of innovation. Due to its location and terrain, Israel is a country that has had extremely limited natural resources since its inception. Israelis have therefore become experts at getting the most out of limited natural resources. Confronting adversity has trained Israelis to think outside of the box. “Israel is poor in natural resources and rich in brain capital. Clean energy bridges that gap. What Israel lacks in the ground it makes up with its people,” says David Anthony from 21 Ventures. 5. Capital. Just about every major US VC firm in Silicon Valley, from Battery Ventures to Greylock to USVP to Sequoia Capital, is prospecting across Israel for cleantech investments. All told, at least 40 venture funds, several of them American, manage more than $10 billion in Israel, with an increasing share of their allocations devoted to cleantech companies. 6. The Better Place Factor. Better Place is Israel’s best known cleantech company, and it recently raised a further $350 million (see Better Place deal bested by Airtricity). Founded by Israeli entrepreneur Shai Agassi, the company is developing electric vehicle battery swapping infrastructure. 7. The sun shines brightly over Israel. 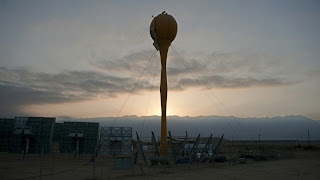 The solar radiation Israel receives is a driver of solar thermal companies. Siemens bought Israeli solar thermal pioneer Solel for $418 million, while BrightSource Energy has raised more than $160 million from investors, including U.S.-based VantagePoint Venture Partners, Google, BP’s investment arm, Morgan Stanley, and JPMorgan Chase. 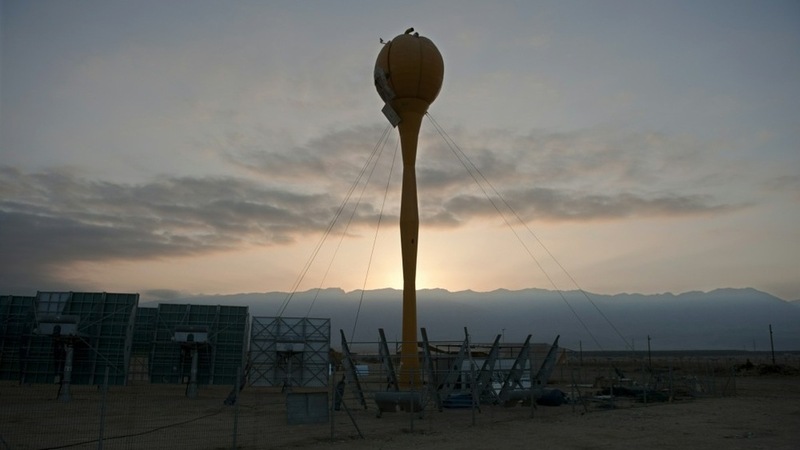 Other notable solar thermal companies include Heliofocus, ZenithSolar, and AORA. 8. Kibbutz Pioneers. The foundation of Israel’s cleantech industry was laid with the beginning of the kibbutz (collective communities) movement at the start of the 20th century (see Israel’s cleantech kibbutzim pioneers). At that time, the land was mostly semi-arid, with a scarcity of water and pockmarked by mosquito infested swamps, so principles of sustainability and self-sufficiency were adopted from the outset so as to “make the desert bloom”. 9. Home grown Israeli VC community. Israel has a vibrant local VC community which includes Israel Cleantech Ventures, AquaAgro and Terra Ventures—three firms dedicated to investing in Israel’s cleantech sector. Having a vibrant local VC community also draws foreign money. 10. Momentum. Israel is fast becoming the cleantech incubator to the world. In proportion to its population, it now has the largest number of startup companies than any other country in the world except the U.S., with 3,500 companies, mostly in hi-tech. Exciting new cleantech startups to keep an eye on, in our opinion, that haven’t been mentioned already include Bio Pure Technology, BioPetroClean, CellEra, Emefcy, Enstorage, Greenlet Technologies, GreenRoad, GreenSun Energy, IQ Wind, Linum, Panoramic Power, Phoebus Energy, SolarEdge, Takadu, Technospin, Transalgae and Variable Wind Solutions. Cleantech could well become Israel’s biggest export market. Other countries should take note. I was on Fox Business' Varney & Company this morning for Earth Day. The title of this post could be "The companies weren't bad, but their presentations weren't any better." It's not that the presentations were bad, necessarily; well, okay, they were. Yet some had useful information either about the company, the sector, the pain they were addressing, or the solution they proposed. Some even had realistic projections and maybe even a pithy quotable line or two. Or thinking through their audiences. Oh, speaking of audiences: If you're doing a keynote, especially first thing in the morning or just after lunch, do something different. Use your OWN knowledge of the topic to craft your points and don't really on someone's data points or best-selling book to get your message across. And, of course, there is always something worth reading at Presentation Zen. Before you commit a presentation misdemeanor, consider the alternatives. And respect your audience. Here's an interesting concept for cleantech companies that want exposure to potential investors outside their immediate region. Cleantech Investor, a UK-based publisher of finance, investment and business information for the cleantech space, is offering cleantech companies the opportunity to communicate with potential investors in London and around the world. At Cleantech Investor NEXUS events, companies give 30 minute presentations to a select investor audience. Simultaneously, the presentation is streamed live on the web to investor audiences around the world. The videos remain available for one year after the event on 3B NEXUS and on Cleantech Investor TV. Companies may also post the video on their web sites. Presenting companies will also receive a professional profile, crafted by a Cleantech Investor analyst, which is printed in the event brochure and posted on the Cleantech Investor website. The companies also get to use the piece as part of its fund raising. Our 2nd Annual Mid-Atlantic Cleantech Investment Forum got some coverage in the Philadelphia Business Journal. Efforts to make the area a clean-technology hub are gaining momentum. Entrepreneurial interest was in evidence last month at Blank Rome’s 2nd Annual Mid-Atlantic Cleantech Investment Forum at the Academy of Natural Sciences. Between 350 and 400 people attended, up from 150 to 175 last year. Six companies presented and six exhibited, double the number of the previous year, and organizers said 25 applied to present or exhibit, despite no great effort to solicit participants. "With more awareness and people getting together to bolster it, I think it can certainly continue to take hold," said organizer Thomas Dwyer, who founded a clean-tech practice at Blank Rome with another partner in the Center City law firm, Louis Rappaport. Another indication of interest is that the clean-tech sector already has a group devoted to it. Cleantech Alliance Mid-Atlantic held six events last year which drew, on average, 200 people. The alliance was started by Kevin Brown, a senior partner at the Valley Forge office of Hobbs & Towne Inc., an executive search firm specializing in the clean-tech industry, along with Scott Edward Anderson, the founder and principal of VerdeStrategy, which works with clean-tech companies. "There were a lot of people and companies involved in this space throughout the region, but they didn't know each other," Anderson said. The region has an impressive and growing set of natural and economic assets to offer clean-tech companies. The full article (requires subscription) can be found at: Philadelphia Business Journal. A month ago, GoodCompany Ventures had a lively event at GreenSpaces NY's TriBeCa space, including an "unpanel" on the subject of investment in social innovation moderated by yours truly and featuring Fred Wilson of Union Square Ventures, Jacqueline Novogratz of the Acumen Fund, Roger Ehrenberg of IA Venture Strategies and Jacob Gray from Murex Investments. GoodCompany Ventures / Green Spaces NYC Launch Event from Christopher Bentley on Vimeo.